This week, Facebook released a set of statistics that confirmed how many people they have using the site either on desktop or mobile in Africa. The stats say that there are over 120 Million people now subscribed and using the site on a monthly basis. The split all over Africa’s main sites for FB show that Facebook’s usage and engagement continues to grow over the years. Daily active users (DAUs) – DAUs were 968 million on average for June 2015, an increase of 17% year-over-year. Now 65% of monthly active users are also daily active users. Mobile DAUs – Mobile DAUs were 844 million on average for June 2015, an increase of 29% year-over-year. Mobile MAUs – Mobile MAUs were 1.31 billion as of June 30, 2015, an increase of 23% year- over-year. Time spent: Across Facebook, Messenger and Instagram, people are now spending more than 46 minutes per day on average. 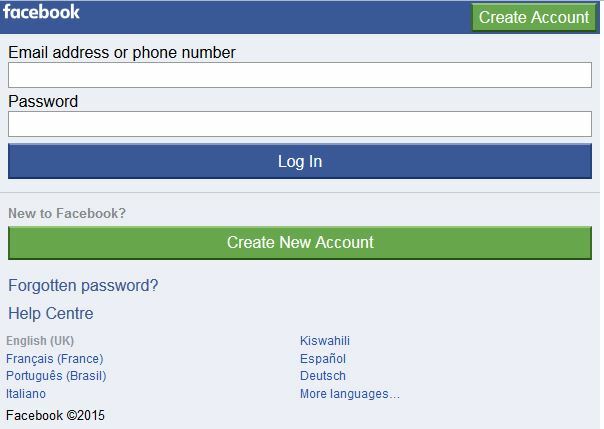 How many users in Kenya as of Quarter 2 of 2015? It is worth noting here that 4.3 Million of the 4.5 Million MAU use Facebook on the mobile. That represents about 95% of total Monthly Active Users. How many users in Nigeria as of Quarter 2 of 2015? An interesting statistic with Nigerian users is that out of the 15 Million Monthly Active Users, almost 100% (probably about 99.9%) use the site on mobile. How many users in South Africa as of Quarter 2 of 2015? Another interesting statistic here with South African users is that out of the 12 Million Monthly Active Users, almost 100% (probably also about 99.9% – same as Nigerian users) use the site actively on their mobile devices. What does this say about Africa? Well, that Africa still has huge potential in terms of getting Facebook users on board. The total African population was recorded at 1.113 Billion in 2013. This number is said to have grown to 1.166 Billion in 2015 and this obviously still shows that there’s huge opportunity (about .4955 Billion people) if we target 70% penetration within the next 5 years. This is informed by the fact that there’s only an estimated 27.5% internet penetration in Africa making the opportunity huge for both Facebook and mobile service operators in the regions.